The little-known trail celebrates the national park's first donor. 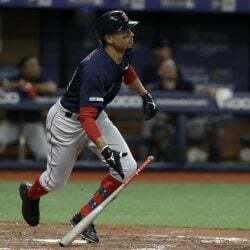 BAR HARBOR — Nowhere around the Sieur de Monts Nature Center at Acadia National Park is there a mention of Eliza Homans. So people hiking here two weeks ago from Ohio, Pennsylvania, Michigan and Maine did not know the person who gave the first parcel of land to what eventually became the 47,000-acre national park. 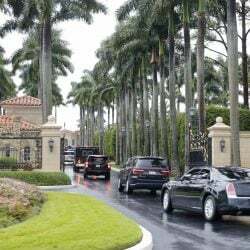 They didn’t know the donor was a woman, nor that the unusual stone path that winds up toward ocean views was named after her by George Dorr, who led the effort to create the national park. 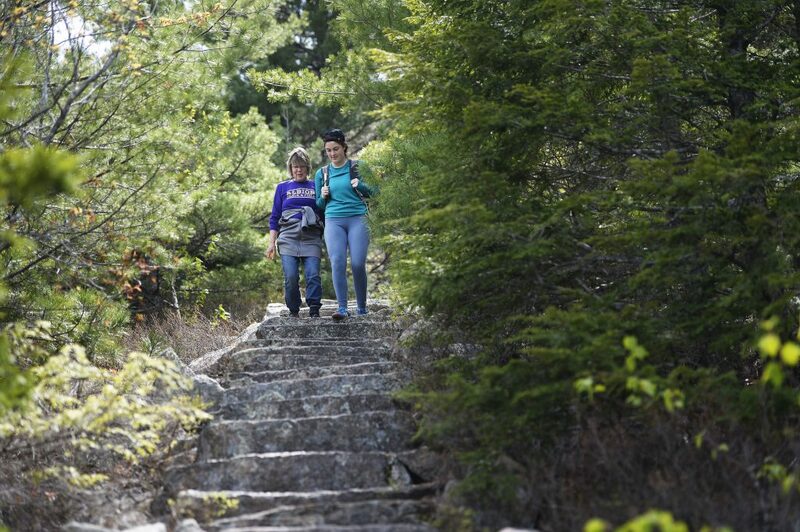 Many Acadia visitors didn’t even know where Homans Path was located. Lynette Gumbleton, 19, of Kalamazoo, Michigan, hiked toward it with her family on the way down Dorr Mountain. But she didn’t know. Gumbleton said the rangers suggested one of the tougher hikes over Dorr Mountain, and she and her two brothers jumped at it. But she said there was no talk of the remarkable century-old stone staircase they might find at the end. 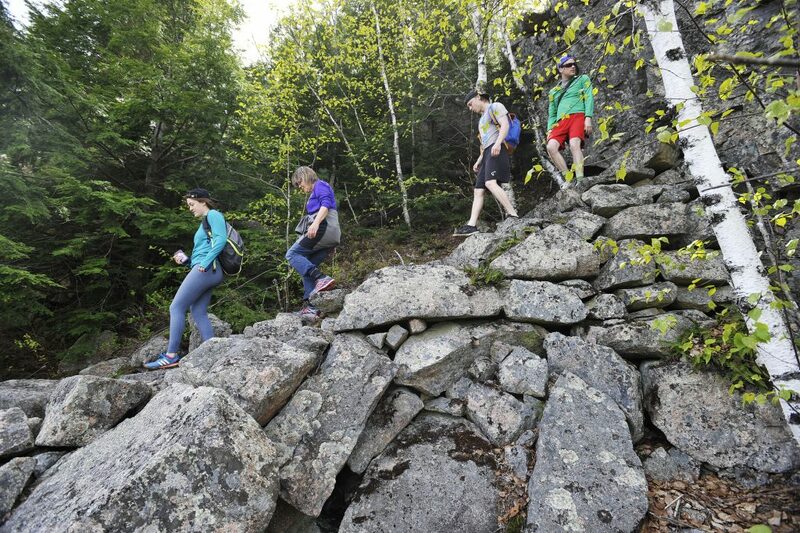 “I’ve never seen anything like it,” said local hiker Marc Fawcett-Atkinson, a senior at the College of the Atlantic. “Those stoned stairs are all wedged into place. It’s amazing. It’s really intricate construction. 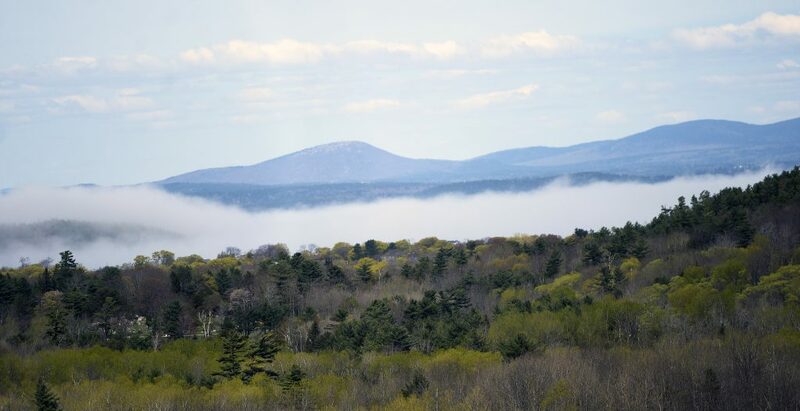 In 1901 the Hancock County Trustees of Public Reservations became just the second land trust in the nation when summer residents Dorr and Harvard president Charles Eliot founded the trust to protect the stunning landscape around 1,500-foot Cadillac Mountain. In 1908, Eliza Homans of Boston became the first donor in the effort when she gave 140 acres on Beehive Mountain. “She was an unusual woman for her time,” said historian Ronald Epp, whose biography of Dorr was published last year. The gesture inspired Dorr to go after Cadillac Mountain and within four years the Trustees had preserved 5,000 acres around the mountain. In 1916, Dorr gave 6,000 acres to the U.S. government, and President Woodrow Wilson established the Sieur de Monts National Monument. It became a national park in 1919, the first east of the Mississippi and the first to be created by private citizens. Dorr was the park’s first superintendent. In that role he honored the island residents who helped create the park by naming memorial trails after them. Homans Path was built with six other memorial trails between 1913 and 1916 under Dorr’s direction, Epp said. Homans was lost for 50 years after the fire of 1947, until park rangers rediscovered it and reopened it in July 2003. And yet Homans Path is not listed in the main Acadia brochure. The signs at the nature center tell how “many trails in this area are named after residents who found inspiration from the landscape and helped finance the trails.” And there is a kiosk panel that shows Homans’ primitive century-old steps. 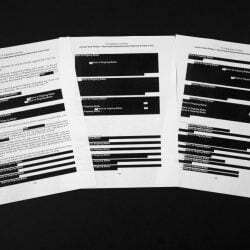 But nowhere does it provide details about Eliza Homans. Her path starts from a trailhead that is camouflaged among the maple, birch and beech trees. Nothing indicates this path is significant to the park’s history, nor that the journey is unlike many others. It leads 30 yards into the woods before the primitive steps appear. 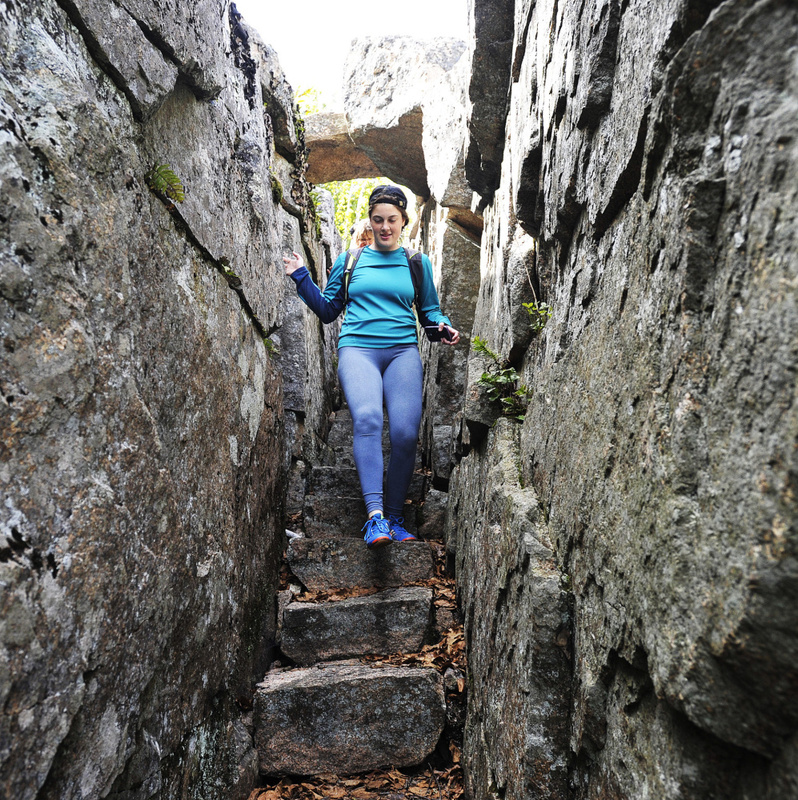 From there the path rises another 338 steps along boulders and through natural stone archways to panoramic views of treetops and, eventually, Frenchman’s Bay. The stone steps hug and blend into the mountainside, but on purpose. Beverley Guay of Millinocket, a guide in the College of the Atlantic outing club, didn’t know it. 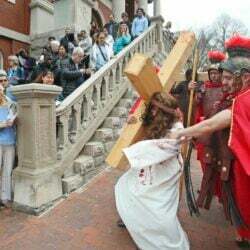 And as Victor Liu of Dublin, Ohio, and Adit Sinha of Pleasanton, California, climbed down Dorr Mountain toward the Homans a few weeks ago, they said they didn’t know it was there. 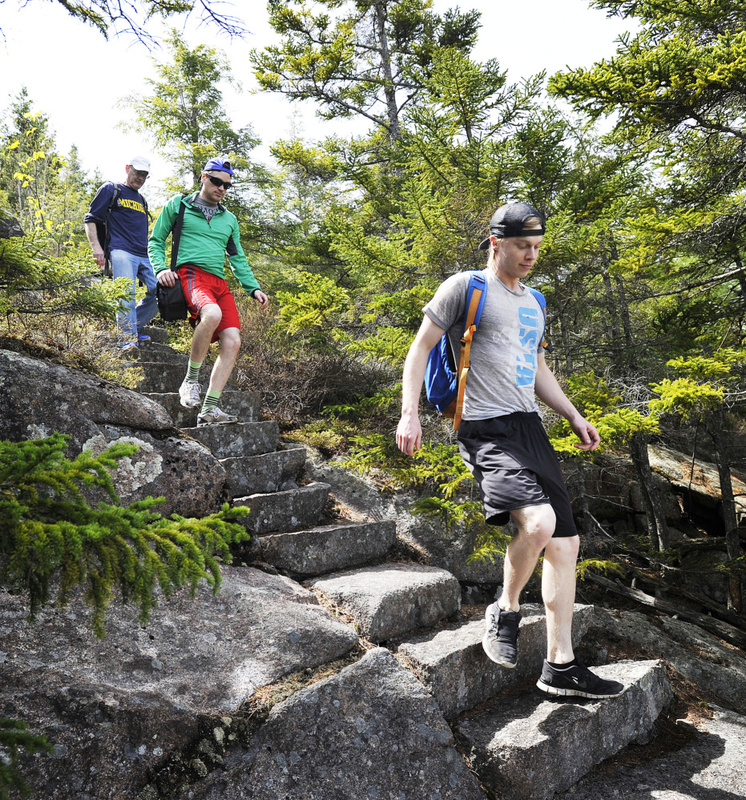 They were awestruck at the views from Acadia’s trails. But they knew nothing about the stone path or its story. 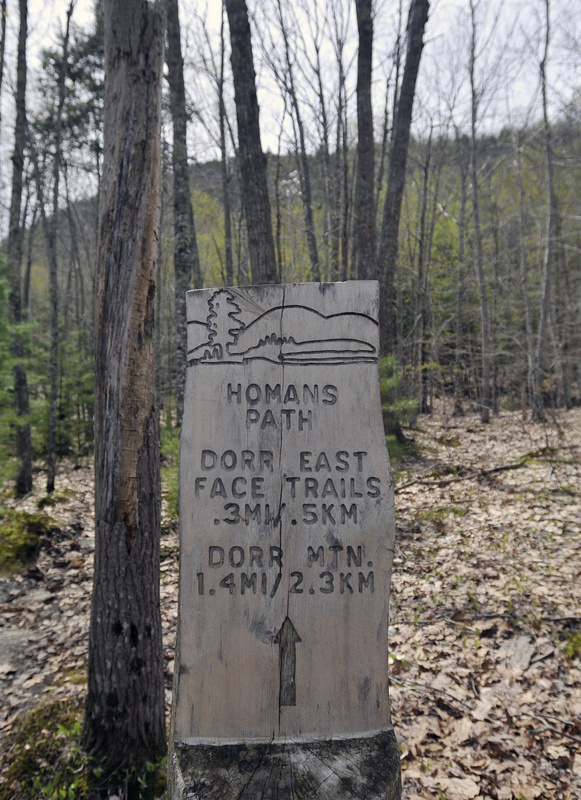 Fawcett-Atkinson, of Antigonish, Nova Scotia, thinks tourists often miss Homans on their way over Dorr Mountain. He is more familiar with Homans than most, he said, because his morning run goes by it. But even the local college student had no idea where the path got its name.